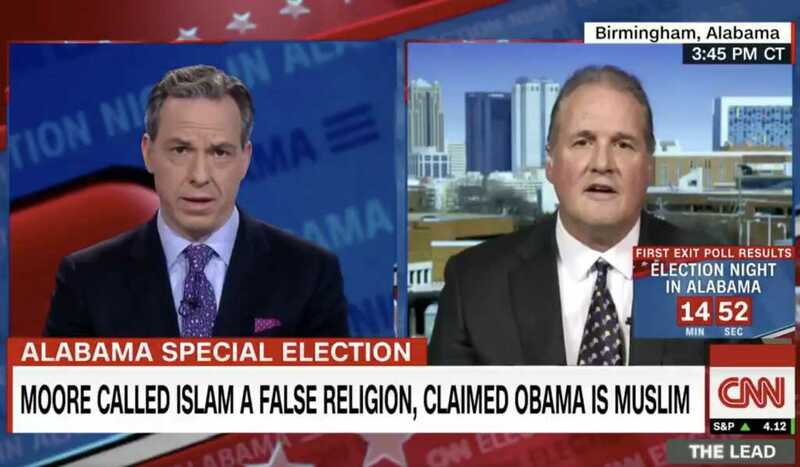 CNN anchor Jake Tapper left Roy Moore spokesman Ted Crockett utterly speechless on Tuesday during an incredibly awkward on-air exchange over Moore’s past comments about Muslims serving in congress. Tapper, who seemed perplexed, responded by noting that U.S. law doesn’t require incoming politicians to specifically swear on Christian Bibles, explaining that people can, in fact, choose whichever text they’d like. Crockett pushed back and Tapper again noted that the law doesn’t force people to swear on the Bible.